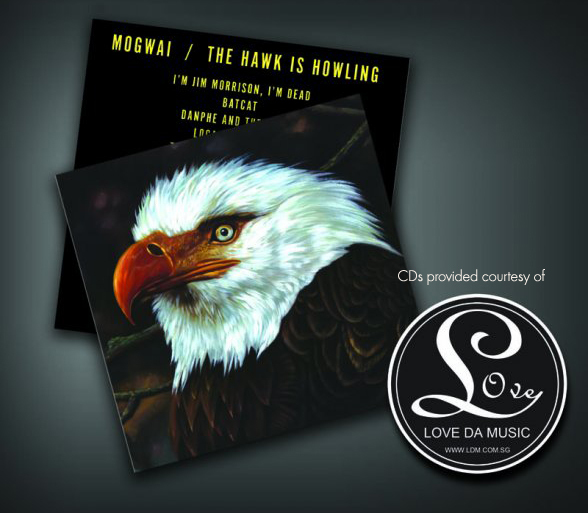 Win Mogwai’s latest album “The Hawk Is Howling”! Kittywu Records, the organisers for the upcoming Mogwai concert have three copies of the band’s latest CD to give away to you! Qn: “The Hawk Is Howling” is Mogwai’s _______ full-length studio album. (hint: the answer can be found somewhere here). Send in your answer, along with your full name and NRIC number to contest.urbanwire@gmail.com. The first three individuals to send in valid entries with the correct answer will win a copy each. Winners will be notified by email. Note that only one copy will be awarded to each winner. Consideration will only be given to the first winning entry if you send in multiple entries. The contest closes on 30 January 2009 at 5pm.